Pakistani Film Star Veena Malik invited at the most auspicious moment of Sahara by Sahara group head Subrata Roy for their launch of new News channel. She was felicitate by Sahara Group head Subrata Roy. 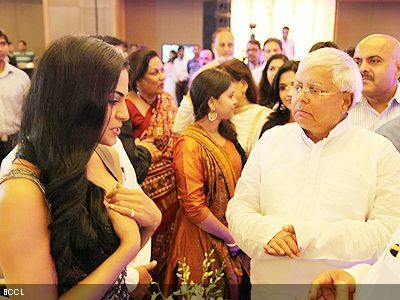 Veena was seen sharing platform with Bollywood singer Anu Malik, Sport Minister Ajay Makan, LJP President Ram Vilas Paswan and RJD president Laloo Prasad Yadav.